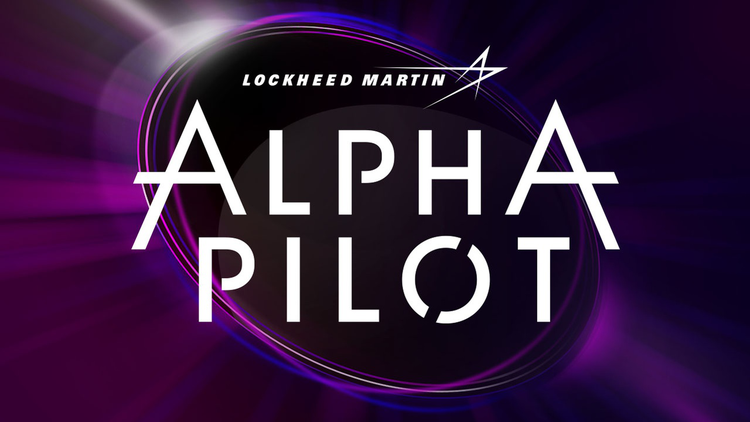 Lockheed Martin and The Drone Racing League (DRL) challenge you to participate in AlphaPilot, an open innovation challenge, developing artificial intelligence (AI) for high-speed racing drones. Enter the AlphaPilot Innovation Challenge today for your chance to master autonomous flight and win more than $2,000,000 in cash prizes. AlphaPilot will challenge teams of up to 10 participants each to design an AI framework, powered by the NVIDIA Jetson platform for AI at the edge, that is capable of flying a drone -- without any human intervention or navigational pre-programming. Autonomous drones will race head-to-head through complex, three-dimensional tracks in DRL’s new Artificial Intelligence Robotic Racing (AIRR) Circuit, starting in 2019. AlphaPilot aims to unite a diverse community of practicing and emerging AI experts, researchers and students to inspire the next generation of autonomous drone technology. By participating in this challenge, your knowledge and ideas can contribute directly toward the future of autonomous transportation, delivery, disaster relief, and even space exploration! Drone racing is a futuristic sport, and a big draw for millennials and K-12 students with an interest in technology — many of whom will become future STEM professionals, drone pilots and engineers. Lockheed Martin recognizes the important role in helping to develop a workforce with skills to compete in a 21st century high-tech economy. Lockheed Martin and DRL are targeting U.S. undergraduate and graduate students to apply for AlphaPilot; however, the competition is open to drone enthusiasts, coders and technologists of all ages from around the world. Why is Lockheed Martin doing this? For more than 100 years, Lockheed Martin has been redefining flight — from the fastest speeds, to the edge of space, to unmatched maneuverability and stealth. AI-enabled autonomy promises to fundamentally change the future of flight, and we are actively developing disruptive new AI technologies that will help our customers accomplish their most important missions – from reaching Mars to fighting wildfires. Click ACCEPT CHALLENGE above to apply for AlphaPilot. Read the Challenge Guidelines to learn about competition. Share this challenge on social media using the icons above. Show your friends, your family, or anyone you know who has a passion for discovery. Start a conversation in our Forum to join the discussion, ask questions or connect with other innovators. Headquartered in Bethesda, Maryland, Lockheed Martin is a global security and aerospace company that employs approximately 100,000 people worldwide and is principally engaged in the research, design, development, manufacture, integration and sustainment of advanced technology systems, products and services. This year, the company received three Edison awards for groundbreaking innovations in autonomy, satellite technology and directed energy. For more information, please visit www.lockheedmartin.com/alphapilot. You can find the Q&A log from the webinar and the recording in the resources section here. What is the Difference Between AlphaPilot and AIRR? In 2019 and 2020 selected teams from the Lockheed Martin AlphaPilot Innovation Challenge will compete in the AIRR Circuit. What can I do to prepare for the challenge? In preparation for the virtual qualifier challenge and AIRR League, we urge participants to practice solving challenges related to computer-vision, creation of neural networks, and image classification. Developing an in-depth understanding of the Xavier Jetson is also encouraged, as is utilization of free autonomous vehicle related simulators - all of which will be valuable experience in preparation for the AlphaPilot Challenge and AIRR League. What does the virtual qualifier consist of? The virtual qualifier will consist of three parts: Test 1 will be a 3-5 minute video submission accompanied by several written responses. It will be used to assess each team’s knowledge level, relevant experience, and cohesiveness. Tests 2 and 3 will be made available simultaneously shortly after, and will be designed as objective tests of applicant skill. Test 2 will consist of a computer vision exam, where teams must develop and submit image classifier algorithms for a specific race-related object (using a provided image library). Test 3 will involve an open-source Unity-based simulator, where teams must develop and submit algorithms for guidance and control of drones. The simulator provided in Test 3 will be separate from DRL’s simulation environment, which will only be available to finalist teams as part of a development kit. However, the Test 3 simulator will remain available for public use as tool for training and testing autonomous control algorithms following the 2019 AlphaPilot qualifier. Details on the qualifier challenges, timelines, and scoring criteria will be made available in mid-January. How Many Races Will There Be, and Where Are They Located? Do I need my own drone/equipment? Will I have access to a simulator? The final teams selected for the AlphaPilot challenge will have access to a development kit - one component of which will be a simulator for code deployment and testing. Unfortunately, contest administrators will only be able to provide this AIRR League development kit for the final qualifying teams. What will course routing and course elements consist of? Racing will take place on AIRR League courses - designed and produced by the Drone Racing League. Competition elements such as gates, length, and flight path complexity are being developed by the same course designers that shape DRL’s cutting edge courses. However, they will incorporate a visual fiducial system and be designed specifically with the intention of hosting autonomous drone competition. Am I Eligible to Participate in the AlphaPilot Challenge? The contest is open to applicants who are at least the age of majority in their country of residence or at least 18 years of age, whichever is older as of the start of the challenge. Individuals who are a citizen of a country listed under 3a(ii) are not eligible to compete, even if they reside in or are a citizen of another country due to heightened U.S. and other country export control regulatory compliance risks or other restrictions. Applicants holding dual citizenship in a restricted country will not be allowed to participate. Individuals can enter on behalf of Entities, but the Entities must comply with the restrictions set for in section 3a(iii). All team members and any entities they represent must comply with contest regulations as they relate to these restrictions. Will Employees from other Aerospace Companies be Able to Compete? If I participate, will I retain my Intellectual Property (IP)? By submitting entry code in order to participate in the Challenge, Participants do not transfer ownership of the code to Lockheed Martin or The Drone Racing League. During or after the Challenge, Lockheed Martin or the Drone Racing League may seek to negotiate licenses with participants for the entry code or code developed during the Challenge by participants. In the course of collaborating with participants, Lockheed Martin or the Drone Racing League may gain certain general knowledge, skills, know-how, methodologies, procedures, and techniques from participants that may be useful in Lockheed Martin’s or the Drone Racing League’s operations, which Lockheed Martin and the Drone Racing League are free to use. How do I find teammates or form a team? Teams can be formed through the HeroX forum, through in-person contacts with other challenge participants, or any way you see fit to approach the challenge. Regardless of which team you’re on, we encourage collaboration between participants in the forum. What if We Need to Modify Our Team Members? Can We Choose Our Team Name? How Will Awards Be Divided Amongst Team Members? Do All Teams and Team Members Have to Attend Each Race? How Will Teams Find Sponsors? What is the goal of AlphaPilot? Is it recruiting? AlphaPilot is about building community and trust in autonomy. Our goal is to bring together users from all walks of life and create a fun, common challenge that pushes the state-of-the-art. Is there any provision for under 18-year-old team members? Unfortunately, team members must be the age of majority in their country or residence or at least 18 years of age, whichever is older as of the start of the Challenge. You can view the complete details on eligibility in the legal agreement. A portion of each test is based on the judges’ evaluation of our technical report. What are you looking for in these reports? There are a few keys things we are looking for in the technical report: teams to explain clearly what they did, how their approach would (or would not) be used in AlphaPilot, and any challenges they ran into how and how they overcame them. What expenses will teams be responsible for covering? The competition is designed to minimize team expenses. There are no fees or travel requirements for the Qualifier. The only cost that Finalists will incur is travel to AIRR events. Only one member of each Finalist team is required to attend each AIRR event. Teams are permitted to train however they see fit, including the purchase of additional resources beyond the development kit. However, this is not required and is at the discretion (and expense) of teams. You mentioned teams are encouraged to find funding support. Do you have any existing resources or support that you can share to get connected to funding resources? Lockheed Martin and DRL will work with teams to secure sponsorships. This could be from universities, companies, or other organizations. We will leverage our connections and distribute team media to the extent possible. Can teams collaborate at sub system level? We are getting good at software, we could partner with a team already good at flying? Yes! Teambuilding is encouraged and can include team mergers. The Team Matching function is there to help. Please solidify any such changed by the end of registration. Who are the judges for AlphaPilot? The Qualification judges are a mix of experts from academia, industry, and government. Many experts in drones, GNC, machine learning, machine vision, and more support AlphaPilot.